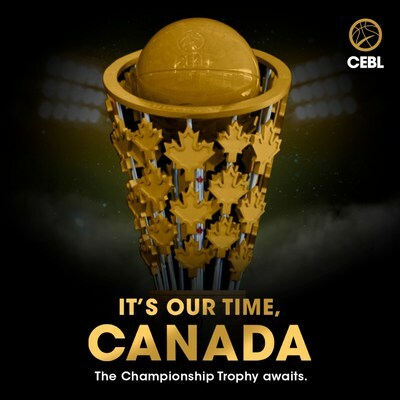 THOROLD, ON, April 4, 2019 /CNW/ - With a few weeks remaining before its inaugural tip-off, the Canadian Elite Basketball League (CEBL) unveils its championship trophy representing Canadian pride. 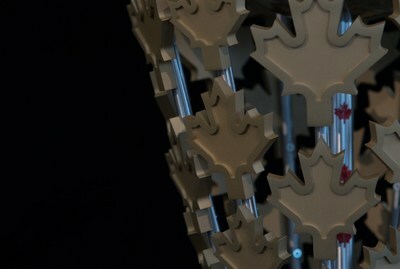 The CEBL championship trophy was designed and made by Protocole-Trophies of Exception in Montreal, a famed trophy design firm. 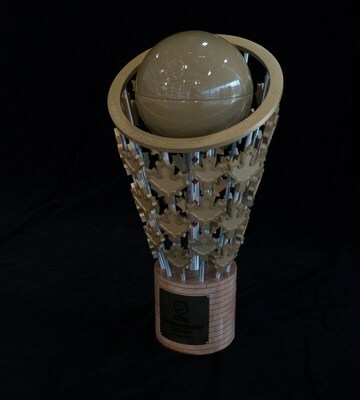 It pushed the boundaries in terms of complexity and it's the first trophy of its kind that literally reflects the true passion for basketball in Canada. "My inspiration was to emphasize the very moment that generates instant pride in Basketball, when the ball passes through the hoop. To capture something truly special." says Jean-Philippe Caron, Chief Creating Officer of Protocole. Mike Morreale, CEO of the CEBL stated "it's an exciting moment when you work with an amazing team to craft a trophy that captures the essence of our game and our country. We are literally writing history together and the journey has been inspiring to think that in a few weeks six cities will be battling it out for the title of CEBL Champions." Check out cebl.ca for more information and tickets.